Enjoy your stay at our eco-friendly container-van remodeled rooms with 4 or 5 double deck beds, private lockers, 2 orbit fans and aircondition (operated by management). 8 Urinals,48 Toilets with Bidet and 56 Shower Booths. We also have a cafe and bakery within the dormitory compound that offers affordable meals and drinks. You searched for 1929 J.Bocobo St., Brgy 702, Malate, Manila, 1004 Metro Manila and this page shows the full details of this accommodation to let. 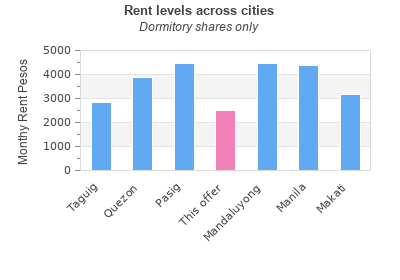 This Dormitory is located in Malate in Manila. This property has bedrooms, bathrooms and the rent is PHP 2500 monthly. This accommodation for rent was last updated on 2018-04-03 05:03:50. The classified has been displayed 403 only today. 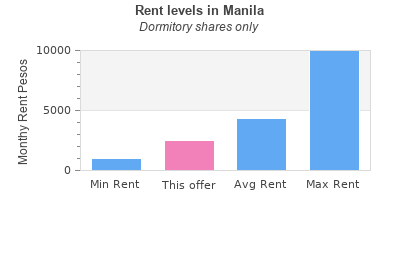 You can see other lettings in Manila.